Head lice are tiny, wingless parasites that live on the scalp and no where else on the body except maybe on the eyelashes or eyebrows but this is rare. Head lice can not fly or jump. However, they are highly contagious through head-to-head contact or by sharing brushes and other hair items, hats, clothing, and bed linens. Head lice is very common, mostly in children ages 3-12 years old (more often in girls than boys). All children are at risk of getting head lice. Head lice do not spread diseases. They are extremely annoying but are not dangerous. However, itching is a problem that can lead to a bacterial infection from too much scratching. Adult head lice are about the size of a sesame seed and can be seen when examining the scalp. They do move fast so they may be hard to spot unless there is a heavy infestation. Nits (lice eggs) are about the size of a dot and can be tan, yellow, or brown in color. They can be found on hair shafts next to the warm skin surface. The eggs can be mistaken as dandruff but they do not fall out or go away from shaking or brushing. Nits take about 1-2 weeks to hatch. Baby lice, called nymphs, also take about 1-2 weeks to become adult lice. Treating head lice with insecticidal shampoos can be harmful and are unnecessary. 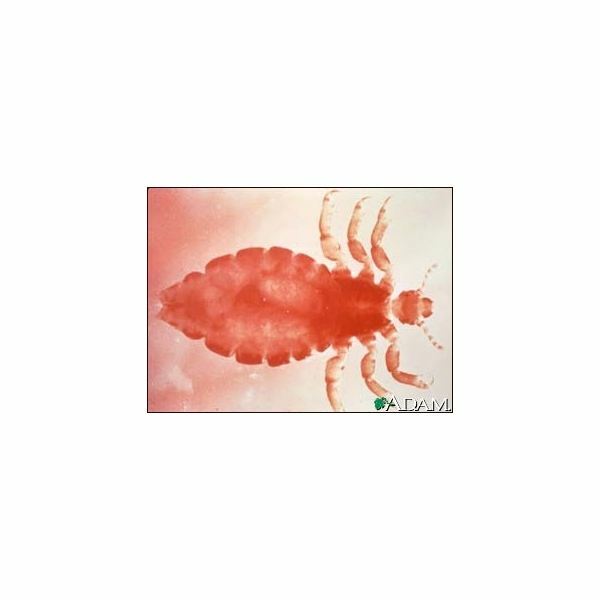 They can kill head lice but they do not kill or remove the nits. Using a head lice comb is the only way to get rid of the eggs. Home remedies for killing head lice such as mayonnaise, olive oil, vinegar, and petroleum jelly are said to be ineffective because, according to research, lice do not drown easily. Getting rid of head lice takes time and patience. Using a comb is the best and safest way in treating head lice (you have to use one anyway to remove the nits). Hair should be wet (this can temporarily immobilize the lice) and a conditioner should be used to make combing easier. Comb every part of the scalp, including the nape of the neck and behind the ears. Part the hair into small sections and comb in different directions (up, down, to the right, and to the left) to dislodge the nits. After each swipe, rinse the comb. A bright light and magnifying glass can be useful, especially in spotting baby lice. After each combing, soak the comb in rubbing alcohol. Do this at least once a day (2-3 times a day is ideal). When no lice or eggs are seen, which can take up to a week or two, continue combing every day (just once is enough) for 7 days to ensure they are gone. soaking hair items in rubbing alcohol for 1 hour (or throw away). Do not use pesticide sprays when cleaning. They are unhealthy and largely ineffective when getting rid of head lice. A good cleaning is sufficient. Head lice, once off the scalp, die in about 24 hours without their source of food (blood). Nits normally do not hatch because they need the warmth that the scalp provides. If they do hatch, they usually die within a few hours without food.